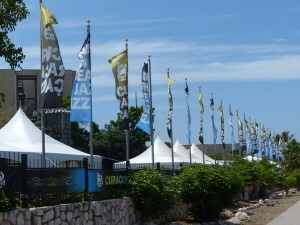 WILLEMSTAD - In joint consultation, Fundashon Bon Intenshon and Mojo Concerts have decided not to organize Curaçao North Sea Jazz Festival in September 2017. The reason is that there are no main acts available in this period. After seven wonderful editions with legendary concerts, the festival has come to a standstill in 2017. In order to maintain the event on international top level, at least two world class main acts will be required. The past months it has become evident that these will not be available in September next year. It has become increasingly difficult to book great artists in the weekend in question. Few main acts are touring during that period and flying in artists, their band, crew, and equipment for just one concert is very expensive. FBI en Mojo will reflect on the future of the Fest during 2017.